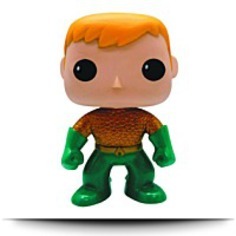 POP HEROES AQUAMAN PX VINYL FIG NEW 52 VER A PREVIEWS Exclusive! Window box packaging. 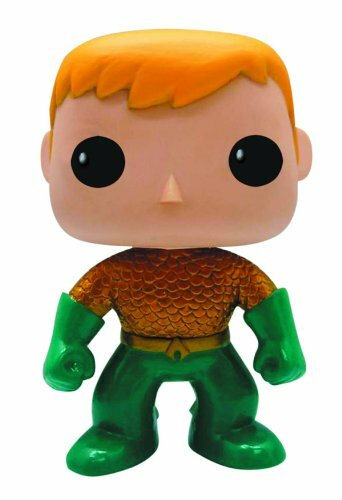 These 3 3/4"tall figures of Aquaman, Batman, the Flash, Green Lantern, Superman, and Wonder Woman depict the fan-favorites characters of the Justice League in their"New 52"costume and features Funko's unique design, rotating head, and articulation. Heroes Vinyl Figures! Inspired by the urban and stylized character designs of today's designer toys, Funko presents a new take on classic comic book characters from the pages of DC Comics with their POP!